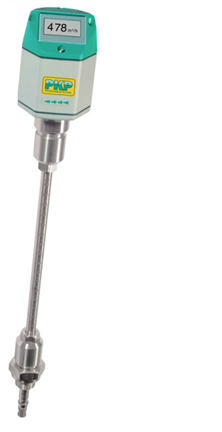 Model DB40 Thermal Mass Flow Meters and counters provide flow measurement of non-aggressive gases in 1″ to 20″ pipe systems. Their rugged, heavy-duty design and easy handling and operation make them the right choice for measuring and monitoring compressed air consumption levels. They also provide measurements of other suitable gases such as: nitrogen oxygen, argon, helium and carbon dioxide.